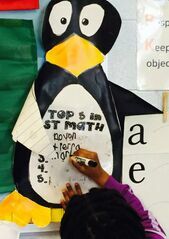 JiJi the penguin is a celebrity in my class. JiJi is the star of many stories at the writing center, often listed as something students are thankful for at Thanksgiving, and commonly discussed at lunch. 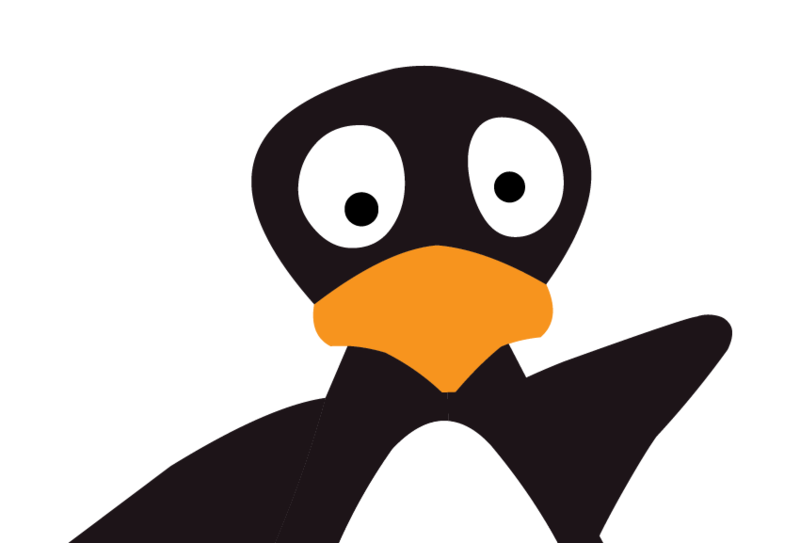 For those who don't know, JiJi is the penguin that leads students through the ST Math curriculum. Over the years I have tried different systems for tracking data and encouraging students to take ownership of their ST Math growth. The most important part of all my systems has been a class data talk on Friday. I have used ST Math with kindergartners for 4 years, and each class has learned to analyze their data and set goals to work towards. Data talk always starts with looking at the overall class data. We look at the average class percentage and how many students are struggling. We talk about how our goal is to get to 100% by the end of the year so that we are ready for first grade. Then we dive into the individual data. We celebrate success by announcing what percent in the curriculum each student is at. We move the students' individual JiJi on the wall tracker. One year I had an awesome JiJi where we wrote the students who had made the most growth that week. 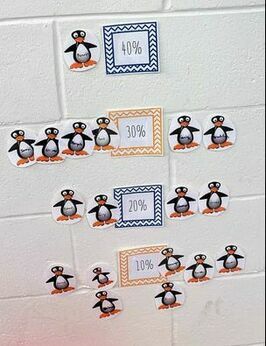 Students are so proud to watch their JiJi move up the tracker, closer to 100%. Some years I moved every JiJi every week, other years I moved it when they reached a new decade, both ways work! Were they playing the same level multiple times? If so, they need to "PLAY THE GRAY" (the whole class loved to yell this reminder). Were they stuck on a level because they didn't know how to do it? If so, a classmate could help them past it, they could bring it to my table for extra practice during Free Choice Centers, or they could choose to use manipulatives and dry erase boards to beat it. Were they not spending enough time on the levels? They were encouraged to choose ST Math during Free Choice Centers or sit in a strategic spot where I could see their progress during math rotations. I try to keep trouble-shooting positive and solutions-oriented. I like to ask the students with the problem what they can do to solve it, and they often have great ideas! We use the wall data tracker throughout the year. It is a simple way for me to easily keep track of where each student is in the process. The tracker invests students in their growth and encourages them to work harder. It also serves as a good talking point with families during conferences! 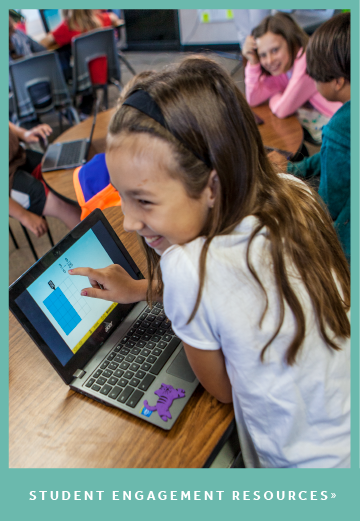 When a student reaches 100% of the curriculum they become a member of the exclusive JiJi Club. This simply means that I take their picture and hang it in the hallway under a sign that says "JiJi Club!" but if you ask the students, it is a big deal! Thank you Miriam for sharing how educators can get even our youngest learners to view and understand their own data and learning progress! This blog was lightly edited and reposted with permission from Miriam's blog, OxBox Teaching. Miriam has over 5 years teaching experience in New Orleans, Louisiana. She has taught kindergarten and first grade and her favorite subject to teach is math. Her Master's dissertation (at the University of Oxford in Oxford, England) focused on how students learn to solve addition and subtraction story problems in different contexts. She has used ST Math for over 3 years and loves JiJi. 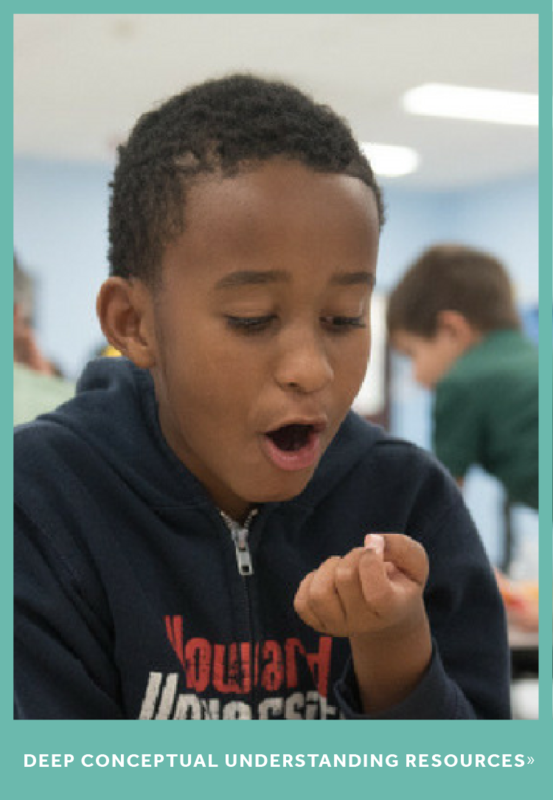 MIND Research Institute welcomes guest blogs that highlight best practices in math education, blended learning and innovative learning strategies that inspire students at all ages.